Le Cappelle Medicee - FLORENCE LIVE! The Medici Chapels are a vast complex of chapels of great historical and architectural interest. 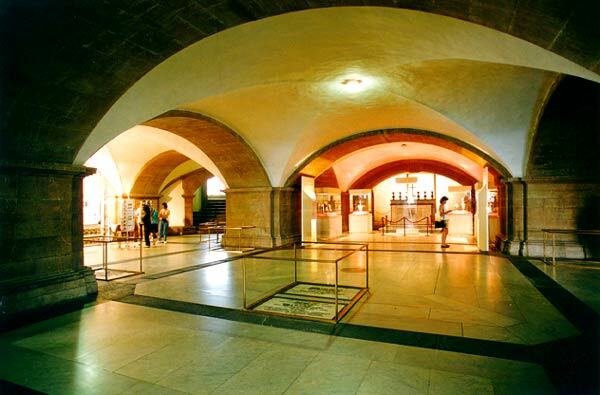 The large crypt, which holds the tombs of the Medici family, was built following a design by Buontalenti. The underground chambers of the Church of San Lorenzo, restored after the flood, hold the simple and suggestive Tomb of Cosimo the Elder, inserted into the central pillar, and the Tomb of Donatello, whose plaque was placed there during a later period (18th century). Stairs lead up to the Chapel of Princes, the sumptuous mausoleum of the Medici grand dukes, begun by Matteo Nigetti in 1604 following a design by Don Giovanni de' Medici, the natural son of Cosimo I. Buontalenti made major alterations to the original design. The mausoleum consists of a huge octagonal structure with a diameter of 28 metres, clad in precious dark marbles and pietra dura, inspiring wonder and admiration from the time of its construction onwards. The pietra dura, mother-of-pearl, lapis lazuli, and coral inlays at the base reproduce the coats of arms of sixteen Tuscan towns. The six monumental sarcophagi lining the walls belong to the grand dukes Ferdinando II, Cosimo II, Ferdinando I, Cosimo I, Francis I and Cosimo III. The second and third sarcophagi are surmounted by colossal gilded bronze statues made by Pietro and Ferdinando Tacca between 1626 and 1642. The Chapels continued to undergo additions and embellishments: the decoration of the dome by Pietro Benvenuti with old and new testament themes dates to 1836. A corridor joins the Chapel of the Princes to the New Sacristy, so-called to distinguish it from the Brunelleschi Sacristy. Unlike the latter, however, the New Sacristy was conceived from the very beginning as a funerary chapel for the Medici family. 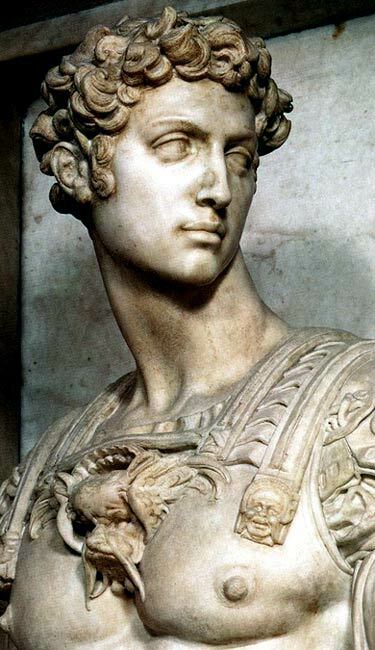 It was commissioned by Cardinal Giulio de' Medici and Pope Leo X.
Michelangelo began work on it in 1521, and had already completed the vault by 1524, but the expulsion of the Medici family in 1527 and the siege of Florence caused work to slow down. 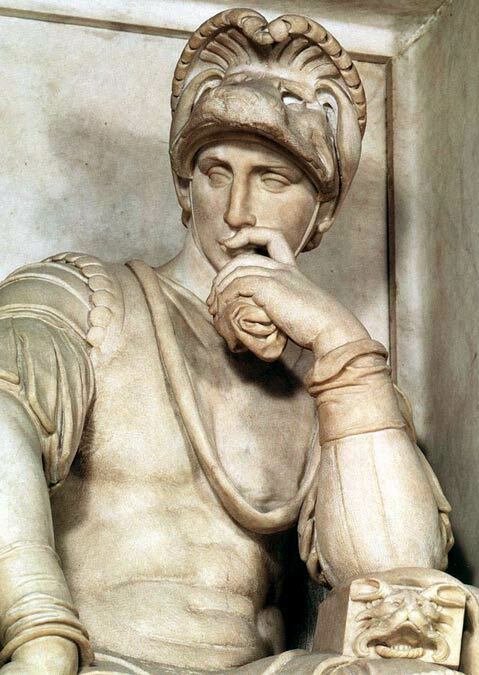 In 1534 Michelangelo left Florence for the last time causing the project to be left incomplete; the artist had only managed to finish two of the tombs, the Tomb of Lorenzo, Duke of Urbino, and the Tomb of Giuliano de' Nemours.